Yet another amazing collection from Chanel. I thoroughly enjoy their couture collections, as well as many of their ready to wear ones.There were lots of metallics, bright pops or oranges/reds and plenty of texture to these designs for this new season. The detailing and texture really made this collection stand out for me. 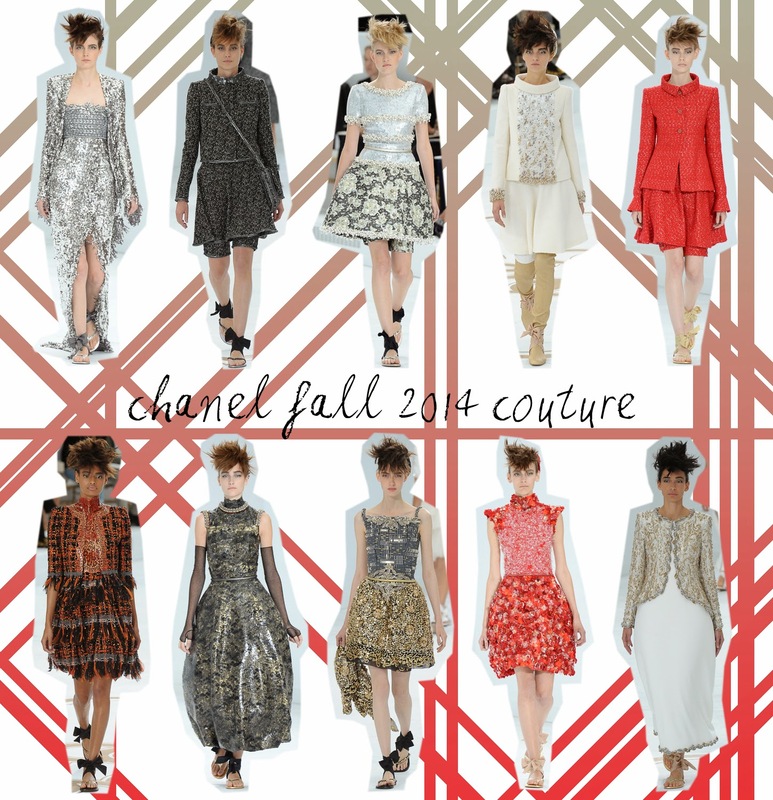 I love the work that Chanel does with texture and these garments were no exception. The colour palette featured some really nice earthier tones but had a more futuristic style, to some, with the uses of silvers and golds. Many pieces had a tailored look, with a few featuring that tight, sleek waist we have seen from Chanel in the past couple of seasons now. This emphasized waist going into a fuller bottom shape really brings something to the outfits. It creates a lovely silhouette that attracts the eye to the designs and works well with the busier textures going on with some pieces. Paired with faux mohawks hair styles, creating an edgy look to the outfits, these designs were feminine and a pleasure to look at. Another pleasing collection by Chanel, ending with pregnant model taking to the catwalk showing off a gorgeous, flattering, long white dress.